We are providing Contour Survey Service to our client. 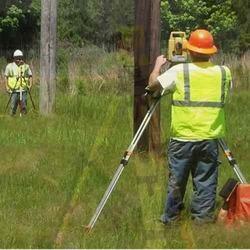 We are one of the trustworthy firms, involved in offering a wide gamut of Contour Survey Service to our clients. Offered array of services is rendered by our experienced professionals with following the industry quality norms for proposed complexes, industrial buildings, roads and the volume of cutting and filling can be computed while analyzing a ground profile. Apart from this, offered services identify any kind of difference in elevation of the existing ground. Contour Survey is carried out to find the difference in elevation of the existing ground. Contours are imaginary lines connecting the slopes of the same height. The contour maps provide the condition of the existing terrain conditions, which helps the design team in deciding the proposed ground profile and in designing the drains & compute the volume of cutting and filling while analyzing a ground profile for proposed industrial complexes, buildings, roads, strengthening and widening of roads leveling of excavating the existing ground to the required depth etc.